Dr. Mary Bryson is the author of multiple publications concerning the social, cultural and educational significance of networked media technologies and publics that make significant contributions to theoretical accounts of gendered and sexual marginality, knowledge mobilization and resilience. 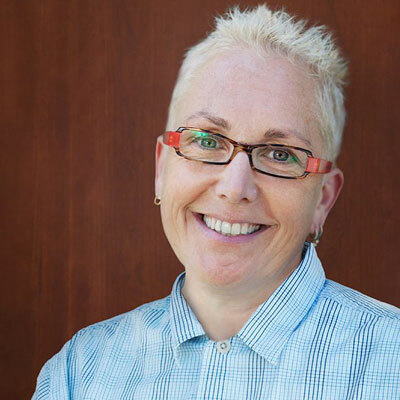 Dr. Bryson chairs the UBC Vice-Presidential Trans, Two-Spirit and Gender Diversity Task Force and is a member of the World Professional Association for Transgender Health (WPATH) Global Education Initiative. They are the recipient of multiple awards for their interdisciplinary scholarship, including most recently, the American Educational Research Association Significant Body of Research award (2013), a Senior Fellowship (2011) at Stanford University’s Clayman Institute for Gender Research, and in 2000, the Canadian Women in the Spotlight, Wired Women Pioneer in New Media award. At present, their CIHR-funded Cancer’s Margins project is the first nation-wide Canadian research study designed to advance our understanding of how sexuality and gender shape breast and gynecologic cancer health knowledge access, and its mobilization in health and treatment decision-making and implications for the design of care that is both medically and culturally competent.